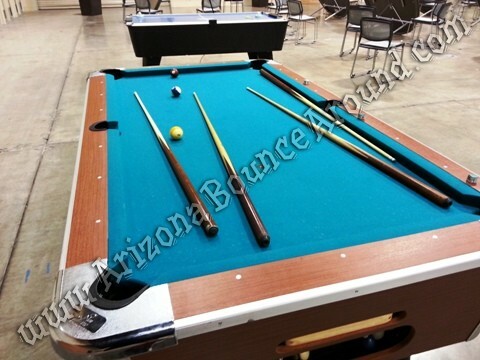 Our professional pool tables come complete with 2 pool sticks, rack, pool balls and chalk ready to play. The rental price includes delivery and pickup in most cases but restrictions apply. 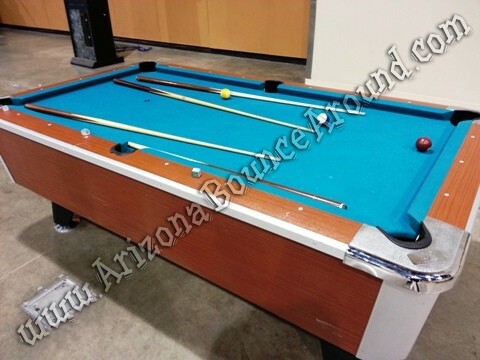 We have 2 matching pool tables and our pool tables are 7 feet long so rent one today. 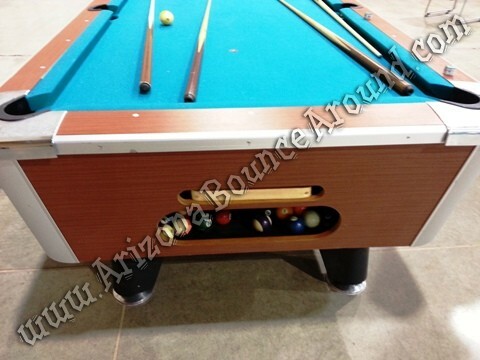 Our pool tables can only be delivered to locations where we have a smooth flat concrete surface from where the delivery truck parks to where the pool table will be setup. 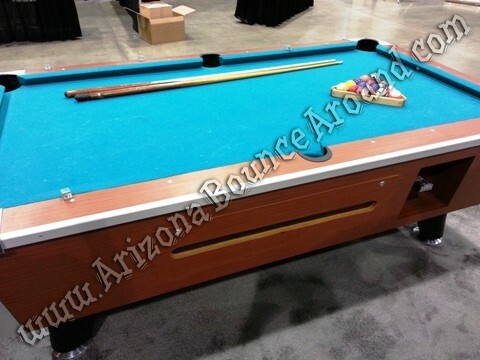 Our pool tables can not be delivered thru grass, rocks, pavers or any other surface execpt a completly flat concrete surface. Most residential deliveries can only be done in the garage. Call now and don't waste your money on a cheap pool table rental when you can have a professional pool table delivered by professionals for not much more.